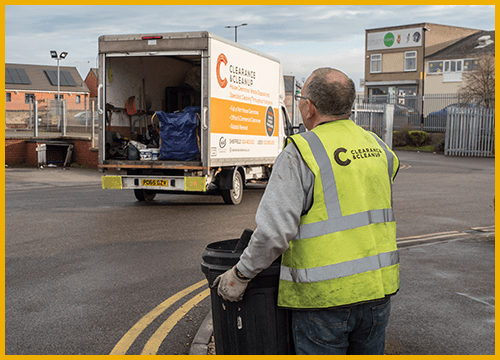 Rubbish Removal Harrogate by Clearance And Clean Up Ltd Harrogate's largest and most reviewed Rubbish Removal Company. Our highly trained, uniformed teams are ready to take on almost any rubbish removal challenge you can throw at them. Reclaiming useful space in your home or business premises so you can put them to better use. 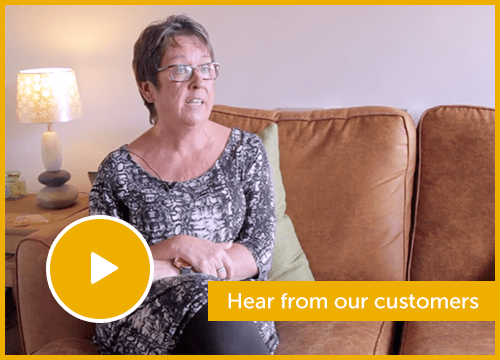 You can call our dedicated office staff 6 days per week and they will talk you through the whole process so don't worry if your unsure of how it works. The clearance And Clean Up team are fully uniformed trained insured and all hold current DBS certification for you safety and peace of mind. As well as also bar far the most reviewed 5 star company in the region.We use the latest technology and have a state of the art booking system to ensure you collection goes to plan with minimum fuss. 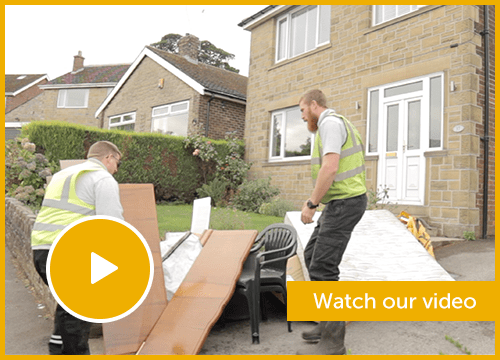 Once we've collected your rubbish in our tracked fit for purpose modern rubbish removal trucks we'll make sure it's disposed of responsibly and sustainably using local waste transfer stations. On completion you will be issued with a waste transfer note. This is required by law and gives yourself the customer peace of mind your rubbish and waste is being treated and dealt with in the correct manor. We are more than happy to show customers disposal invoices and related paperwork to show we are transparent in what we do. This is all part of the great service from Harrogate most 5 star reviewed rubbish collection company.